This 3-in-1 stand assist walker gets users standing upright and ready-to-go. 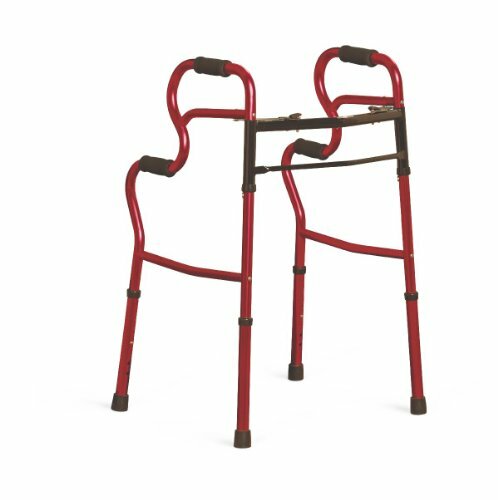 Seated users can gradually progress from the lower level of handles to the top level to help stand more easily. Bi-level handles also allow user to position walker over the toilet and use as a toilet safety frame for use in the bathroom when away from home.